From unpaved tracks to rock climbing or steep serpentine roads to a snow-bound ski lodge – the new E-Class All-Terrain takes routes where conventional estates often have to give up effortlessly in its stride thanks to greater ground clearance with large wheels and 4Matic all-wheel drive as a standard feature. And it also cuts a fine figure thanks to its striking look with powerful flared wheel arches and SUV radiator grille. The market launch will follow in the spring of 2017. 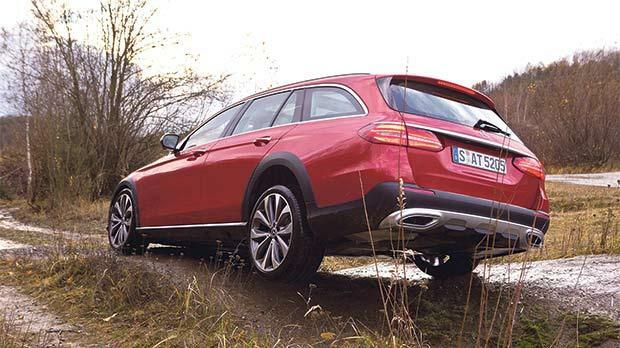 “No E-Class has ever been as versatile as the All-Terrain. The new model combines a striking look in SUV style with the intelligent space concept of the estate. This is coupled with lots of innovative safety features and the multi-award-winning E-Class interior,” Ola Källenius, member of the Daimler management board responsible for Sales and Marketing of Mercedes-Benz Cars, said.